GREENSBORO, NC – For the fifth consecutive year, Ward Black Law was named one of the “Best Law Firms” for personal injury litigation. This prestigious award, given by US News & World Report’s Best Lawyers®, is based on a comprehensive evaluation process and peer reviews. 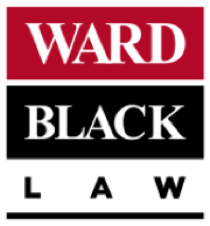 Ward Black Law is a 33-person firm located in Greensboro, N.C. In addition to personal injury, their practice areas include dangerous products litigation, divorce/family law, social security disability, veterans disability and workers’ compensation. Led by attorney Janet Ward Black, Ward Black Law is one of the largest woman-owned firms in the state. Peer attorneys voted on expertise, responsiveness, integrity, cost-effectiveness, whether they would refer a matter to a firm and if they consider a firm a worthy competitor.